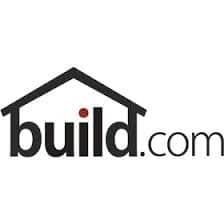 Build.com is an online retailer that specializes in home improvement solutions and products. You can find cyber week deals on the site, and you can also find standard ground shipping for orders of forty-nine dollars or more. You can shop in a variety of categories, including bathroom, kitchen, lighting, fans, hardware, décor, appliances, heating and air products, flooring products, outdoor products, and much more. There is also a section of the site that is devoted entirely to some of the savings that you can take advantage of through this site. You can also find a variety of DIY articles to assist you.